As Rugby’s popularity continues to soar, so are the salaries of its top players. This trend isn’t surprising; since the robust amount of viewers that each match attracts allow advertisers to cash in on the sport. What started as a humble pastime in England eventually evolved into a global phenomenon. Today rugby boasts over 475 million fans that hail from Australia to South Africa. This impressive following showcases the sport’s ability to captivate audiences around the world. Despite being one of the most beloved pastimes on earth, at the end of the day rugby is a business. To keep everyone interested, teams do whatever it takes to contract the most exceptional players. This includes paying surprisingly high salaries to teammates who guarantee more views. While this isn’t unique to rugby, many people would be surprised by how much some players get paid. The talent to controversy ratio is usually the best indicator of what a players pay check will look like. Advertisers need players that generate views, which allows teams to pay out more money. This cycle is impossible to escape in any faucet of the entertainment industry, especially sports. To highlight who’s really fueling rugby’s global popularity, we compiled a list of the highest paid rugby players in the world. From epic feats to lovable shenanigans, these players are in a league of their own. Without rugby superstars, the sport wouldn’t attract nearly the same amount of viewers. These players are keeping the sport alive, so prepare to be impressed by how much they are paid! This man’s impact on the sport can’t be ignored. Rugby Player #3: Matt Giteau (£ 1.1 million) – This Aussie utility back started his career as a scrum-half for the Wallabies. Ever since his first debut in 2001, he has proven to be one of the most electric players in the sport. Just four years into his career, he became a nominee for the International Rugby Board Player of the Year. After appearing in 61 Super Rugby matches and winning 100 test caps for Australia, his legacy was sealed. Matt Giteau is such a coveted player that the league has bent over backwards to accommodate him. 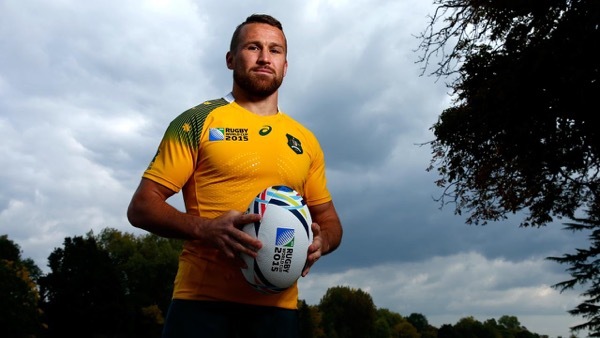 The Australian Rugby Union created the “Giteau’s law” in 2015 to allow him to play in the 2015 Rugby World Cup. Before the introduction of this rule, players could only play for the Australian national rugby union team if they participated in a Super Rugby competition. Giteau was later contracted by the Suntory Sungoliaths, which is a prominent team in Japan’s Top League. By bridging the gap between East and West, Giteau became one of the most iconic players in the sport. Boasting an epic amount of achievements, it’s no surprise Carter enjoys huge paychecks. Rugby Player #2: Dan Carter (£ 1.1 million) – This is yet another wildly talented player who ended up migrating to a Japanese team. Boasting the title as the highest point scorer in test match rugby, Cater’s career is filled with impressive feats. He was crowned the International Rugby Board Player of the Year three times in 2005, 2012 and 2015. During his illustrious career, he has won nine TriNations and Rugby Championships with the All Blacks. This was complimented by 3 Super Rugby titles with the crusaders. Today he plays for the Kobelco Steelers in Japan, which is an impressive transition from his New Zealand roots. No other player has a more promising career. Rugby Player #1: Israel Folau (£ 1.4 million) – In many ways, Israel embodies Australia’s love for rugby. Born to Tongan parents in Minto, South Whales, at a young age it was obvious that he was built for the sport. After representing the Australian Schoolboys team in 2006, he went on to larger leagues. His stints with the Melbourne Storm, Brisbane Broncos, Greater Western Sydney Giants, Waratahs and Wallabies have all been filled with success. Today he is the highest paid player in the sport, and there’s no telling what he’ll make on his next contract!